She's on the fab lane now!! For her tremendous success, she deserved it!! I am proud to be in her BIG and SUCCESSFUL group. Alhamdulillah. After BELLA, Hanis will be in Saffiya TV9. Stay tune for it this Sunday 9 pm :) Can't wait!! Hanis ni if you know her in person she is a humble person. Beliau sangat berdedikasi dan sentiasa memikirkan idea dan strategi untuk melebarkan sayap bisnes di bawah kepimpinan beliau. As a Founder of Green Leaders Academy Malaysia collaborated with her husband CDM Razali Zain as the Co-Founder, they always give us the best input to upgrade our business. Their ideas are fresh, feasible, practical and most important it's work on us! Feeling so lucky bernanung di bawah kepimpinan mereka. Mereka adalah bayangan masa depan. Aim to be like them insyaAllah. Hanis was a plain housewife 3 years ago. She started this business since 2009 and now 2012 she had her DREAM COME TRUE. During that time she's just a housewife with blogging interest. She is SMART. Beliau tak jadikan alasan takde kawan, tak pandai bercakap, tak pandai itu tak pandai ini TAPI beliau gunakan satu kelebihan yang ada iaitu INTERNET! So that is why she is Premium Beautiful *TOP Agent =) *TOP stands for The Online Pioneer. She created a TRANSFORMATION and PHENOMENA !! 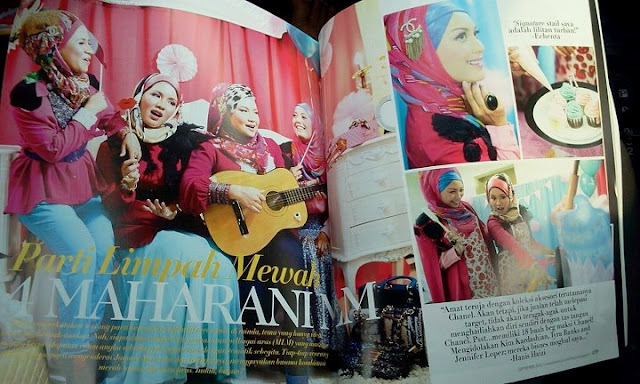 Previously CDM Hanis Haizi was featured in magazines and newspaper for her great achievement at very young age. She is 28 years old when she earned 6 figure income and driving brand new BMW 5 Series. Super awesome! 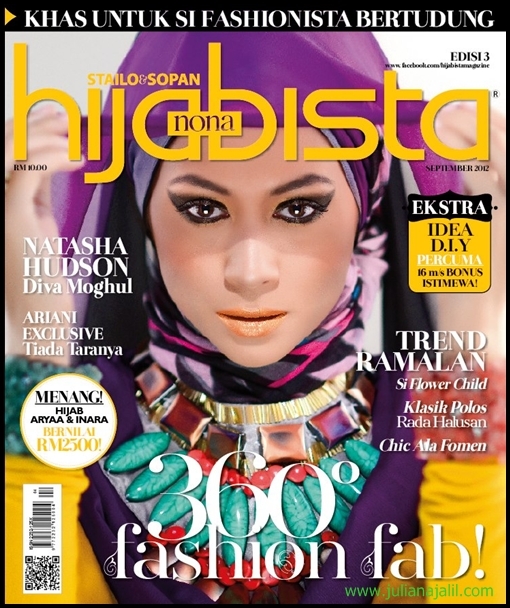 And the latest is HIJABISTA magazine September issue! Credit picture www.julianajalil.com. Thank you Jue! If Hanis can do it, why don't us? Want to know how to generate income with Premium Beautiful business just by ONLINE marketing technique? Hurry!! The rebate until end December only! !